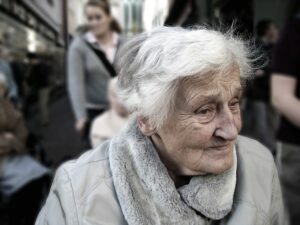 Research suggests that thousands of older people in England are left struggling without any help. Over two million have difficulty cooking, eating, dressing or washing according to analysis by the think tank Strategic Society Centre and the Independent Age charity. Out of the two million, 560,000 of these have severe needs, 160,000 have insufficient care and 70,000 have none at all. 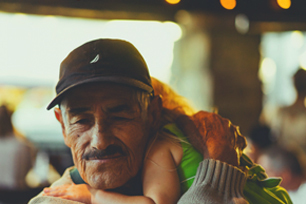 Approximately 850,000 elderly people help pay for care themselves or seek help from the council. Meanwhile 30,000 care for others, which poses a risk to their personal health and well-being. The research “highlights alarming gaps” in the healthcare system and raises new questions ahead of the capping of care costs in April 2016. The policy director of Independent Age, Simon Bottery states it “defies belief” how older people are getting by when they aren’t receiving the adequate care they deserve. He follows on to say without better support, the NHS could suffer as elderly people’s health deteriorates. Councillor Izzi Seccombe of the Local Government Associate said despite tightening budgets, the council are doing their best to prioritise care. “The next government must make sure that [it] puts adult social care on a sustainable financial footing to keep people out of hospital and support them in their homes for as long as possible. • In England there are 8.6 million people aged 65 or above. • Approximately four million of these are living at home with limited daily activities. • More than two million of these have difficulty with one or more day-to-day tasks, such as cooking, eating, dressing or washing. • About one in four of these have needs classed as severe. • 160,000 of these say the help they receive is lacking and another 70,000 receive no help. • 850,000 receive paid help funded by their local authority or themselves. • 1.5 million rely on unpaid care from friends and family. • 30,000 elderly people care for others in situations considered a risk to their health and well-being. If you care for a family member and are looking for support, visit our carer support page.